by Sara Baldwin for New Ravenna Mosaics. Click here to connect with South Bay Digs on Facebook or follow @SouthBayDigs on Twitter. To follow South Bay Digs on Pinterest, click here. 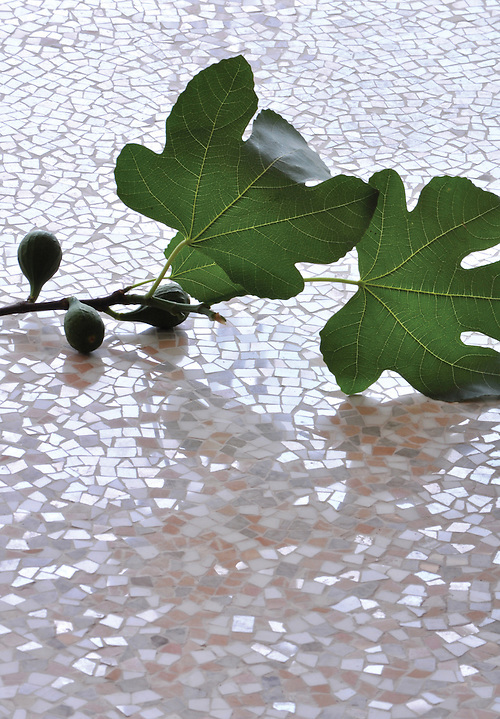 Mist, a hand chopped stone mosaic shown in tumbled Ming Green, Kays Green, Celeste, Calacatta, Blue Macauba and Lettuce Ming, is part of the Metamorphosis Collection by Sara Baldwin for New Ravenna Mosaics. 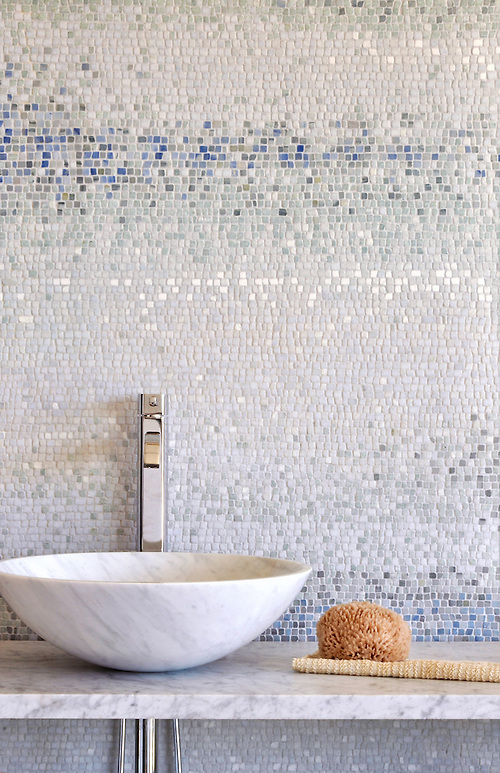 Cosmos, a handcut stone mosaic shown in in Rosa Pearl, Socorro Gray, and White Dolomite polished, is part of the Metamorphosis Collection by Sara Baldwin for New Ravenna Mosaics. 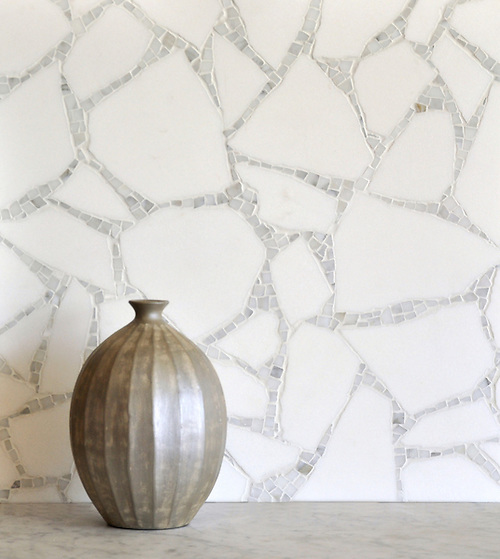 Path, a stone mosaic shown in Thassos and Calacatta, is part of the Metamorphosis Collection by Sara Baldwin for New Ravenna Mosaics. To see more of the Metamorphosis Collection, click here. Click here to check out the rest of the Sara Baldwin Design collections.